Asus has launched Asus Zenfone Max M2 and Asus Zenfone Max Pro M2 in India.The successor of Zenfone Max M1 and Asus Zenfone Max Pro had officially launched few days back in Russia.The handset offers powerful features at affordable cost. The Asus Zenfone Max M2 comes with 6.3 inch HD+ display with 1520×720 pixel resolution and 19:9 aspect ratio.Its display has 88% screen to body ratio and is covered with 2.5D curved glass.The device is measured as 158mm height,76mm width and 7.7mm thickness and 160gm weight.Under the hood,it is equipped with Snapdragon 632 octa core processor and Adreno 509GPU.The Soc is mated to 3GB/4GB RAM along with 32GB/64GB internal storage.It also allows external sd card to expand storage up to further 64GB. 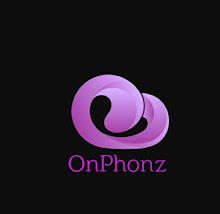 For photography,it has 13MP with f/1.8 aperture and 2MP secondary camera with LED flash at rear while it's front snapper features f/2.0 aperture 8MP sensor.For juice power,it has 4000 mah battery which supports 2A charger.The low budget smartphone is powered by pure Android 8.1 Oreo out of the box.Itsbconnectivity options includes 4G VoLTE,Bluetooth,Wifi ,Hotspot,GPS,micro USB and 3.5 mm audio jack.It also has fast unlocking finger print sensor along with face unlock system. The phones will be available in Blue and Black in colors at a price of Rs 9,999 for 3GB/32GB model and Rs 11,999 for 4GB/64GB variant. 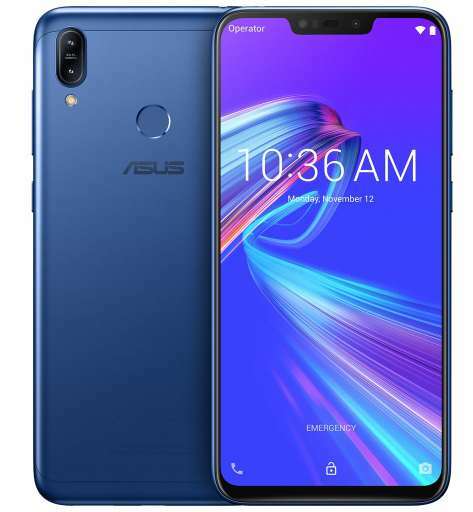 Talking about Asus Zenfone Max Pro M2 ,it has same display size like Max M2,but it has FHD+ resolution and 90% screen body ratio.It also gets protected with Gorilla Glass 6.The Soc is upgraded to Snapdragon 660 processor and Adreno 512GPU with 4GB RAM and 64GB or 128GB internal storage. 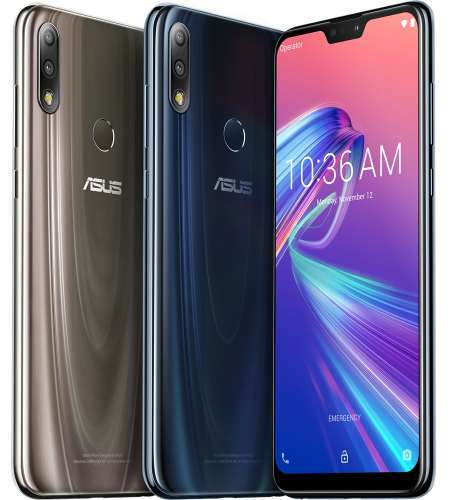 Camera wise,its rear panal has dual camera system with 12MP Sony IMX486 with f/1.8 aperture and 5MP 84° wide angle camera.The camera are capable to record 4K videos and are equipped with HDR mode and AI scene recognition.At front,ther is 13MP f/2.0 aperture camera sits inside notch for selfies,video chatting and face unlocking function.The handset is backer with huge 5000 mah battery which offers 45 hours of talk time in 3G.Other features including connectivities and sensors are same as which are mentioned above device. The handset comes in different storage variants and that are priced as below.Its 3GB/32GB model costs Rs 12,999 while it's 4GB/64GB model costs Rs 14,999.Its 6GB/64GB model will cost up to Rs 16,999 in India.